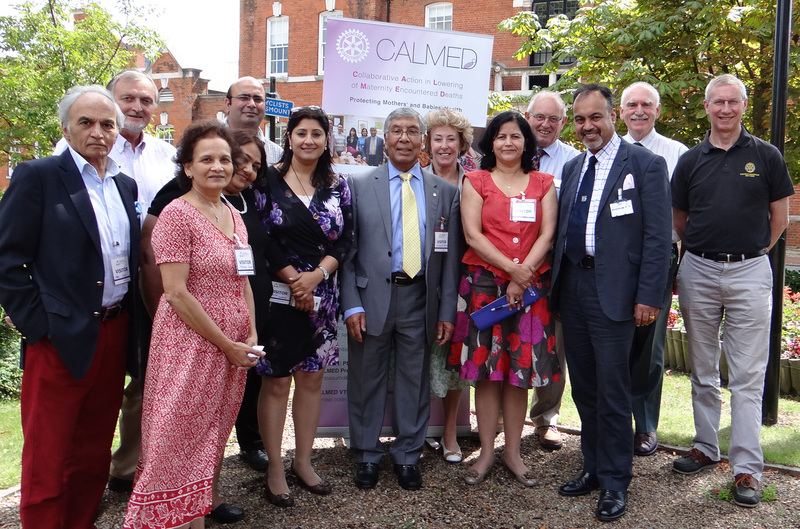 The CALMED 2 Vocational Training Team on parade! Last Saturday, all those who are involved in the forthcoming VTT (Vocational Training Team) to India met at the leafy precincts of the Chatham campus of Christ Church University. The CALMED 2, Global Grant to Bhuj, in Northern Gujarat is beginning to take shape. This was the first opportunity everyone had to meet the team who are going, Also, those who are planning to go on a forthcoming VTT (CALMED 3 is in the pipe-line!). Not least, the D 1120 Foundation team back-up, without whom it just would not happen! What is ‘CALMED’? (pronounced ‘Kalm’d’,) It stands for Collaborative Action to Lower Maternity Encountered Death, and is training for Indian doctors and midwives to train nurses who will act as ‘barefoot midwives’ in the villages. Many women in India still give birth in their houses rather than in hospital, and this Global Grant is to bridge the gap between hospital and village. So, let’s put some names to faces – Left to Right, Dr. Makarand Oak, Rtn. F.Hodge, Prof. Prabha Sinha, (peeping out) Dr. Nutan Mishra, Dr. Sameer Umranikar (the chap at the back that is), Dr. Bindiya Jhamb (at the front), Dr. Himansu Basu – PDG, you already know, (you don’t! Well you should!). Rtn. Elaine Craven, (looking over his shoulder), Dr. Rachana Dwiveli (in red), DGE Ray Dixon, Dr. Hasim Ahmed (who organised the meeting), Rtn. Terry Kinsman, and PDG Denis Spiller, Chair of the D 1120 Foundation committee. An introduction by IPDG Chris Barnett, who is Head of the VTT committee, also, DGE Ray gave some well-chosen words and wished us luck! The day dealt with the nitty gritty aspects of the programme, who will be lecturing, and when, plus a chance as well to see some of the new demonstration dummies, all concerned with aspects of birthing. The VTT is a Global Grant jointly funded by this District and District 3051 which covers the State of Gujurat in Northern India, (D 3051 also covers part of Rajahstan, not unlike D1120 with Sussex, eh!). with matching funding from TRF (Rotary Foundation). The VTT will take place in the Adani Medical Institute, a medical school, in the town of Bhuj, during November. I shall be placing further postings about it’s progress in the forthcoming months. 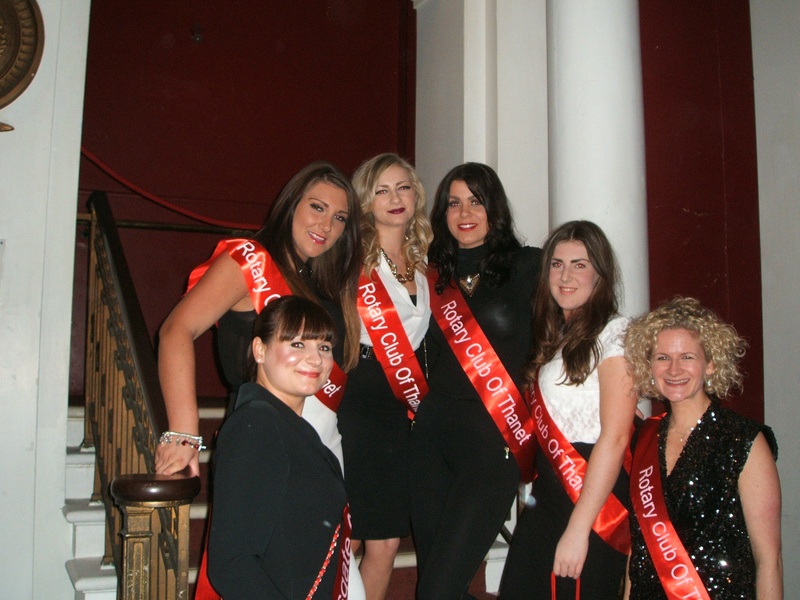 Thanet Club is based in Ramsgate, and they organise and host a boxing evening. This year it took place on February 28th. 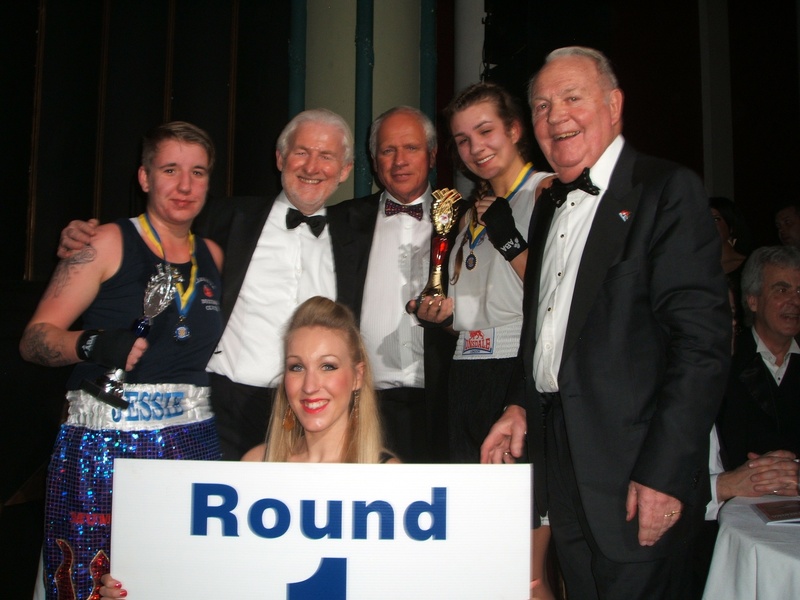 – this is the ninth time they have done it, and was in association with the Ramsgate Boxing Club. It is open to boxers of both genders, and plays (if that is the right word) to a full house. The names I have are club members, Frank Thorley and Les Ray, and I guess the other man is Club President Neal Elliot. And yes they are looking rather smug, as they have earned for their club Benevolent fund a cool £32,500 – this time round, making a total of £275,000 in total since year one. And to add additional tone to this Gala Night they had local MP (Thanet South, Conservative) Laura Sandys, daughter of Duncan S., Minister in the Macmillan government. 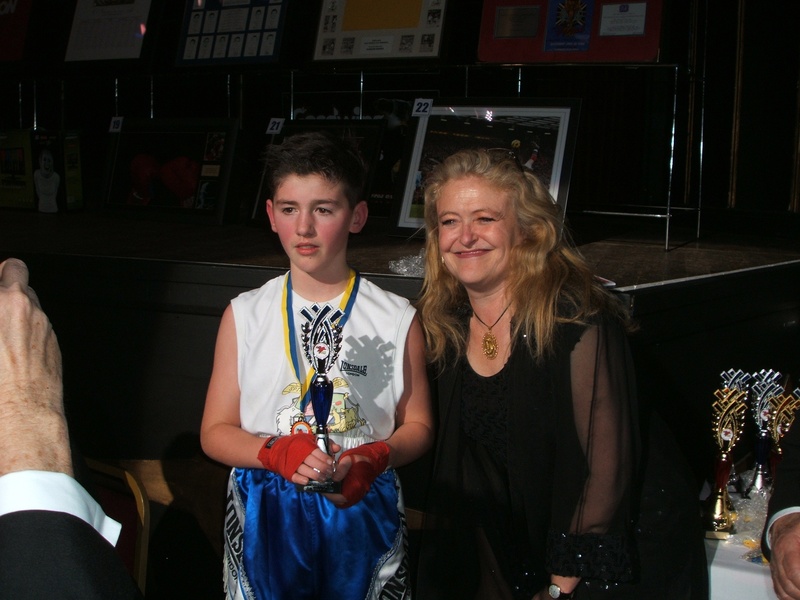 Here she is presenting a trophy to the youngest boxer, one Hayden Saunders. She also donated a bottle of champers for the draw, signed by PM David C.
Sponsors were Blaze Neon, and Heineken, and the beneficiaries will be all Thanet-based charities, including Oasis, the local hospice, and Thanet Scouts. 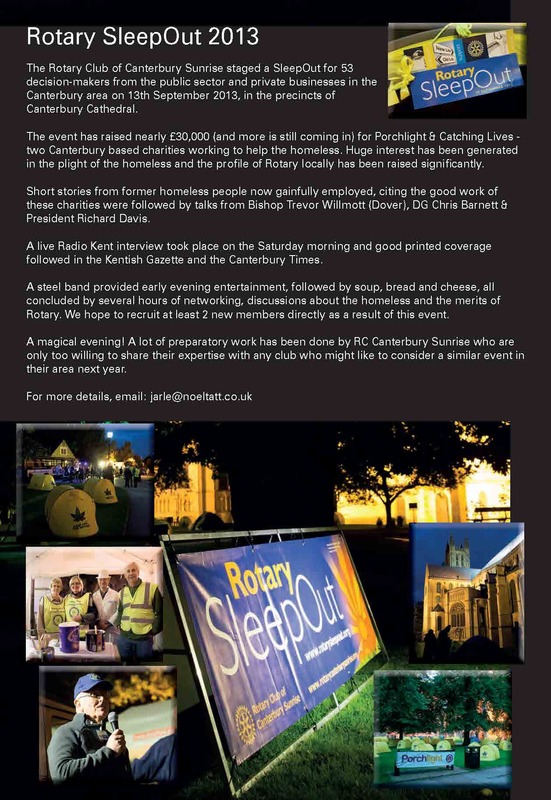 And my Rotarian readers I cannot resist this shot of the ‘helpers’ on the evening. They can’t be Rotarians as RCT does not (currently) have any lady members Tsk, tsk! 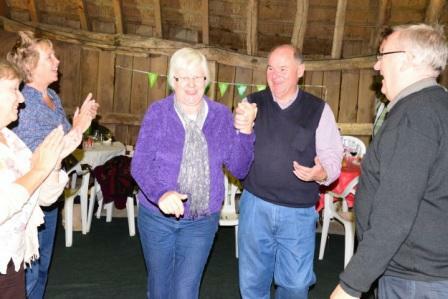 Reel Dancing in a Real Barn – Forest of Blean have a Wild Thyme! Pres. David Baxter & his wife, Jackie step it out. A 'dosey-doh' and off they go! Now RC Forest of Blean is not a club I hear a great deal from. But they clearly have a good time, and make money for their charities. 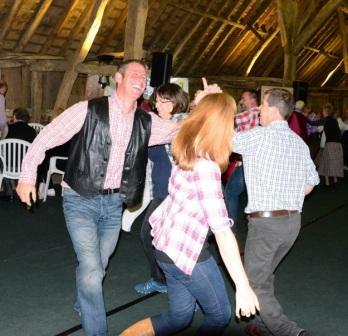 Just recently they held their Ninth Annual Charity Barn Dance raising over £3,700, which they split; the majority going to Macmillan Cancer Fund, and a small part to the club’s own benevolent account. I think the barn deserves a mention, its big, its thatched, and eee, it’s really old. So hats off to this year’s Club President, David, and Jackie his wife who stepped it out with the best of them. Anything 2013 always likes to hear of Rotarians having a great time with their friends, and creating interesting actions for their chosen charities. Next time send me a video clip, and I’ll post that too! Special mentions go to Cardy Construction for their sponsorship, and to Rtn. 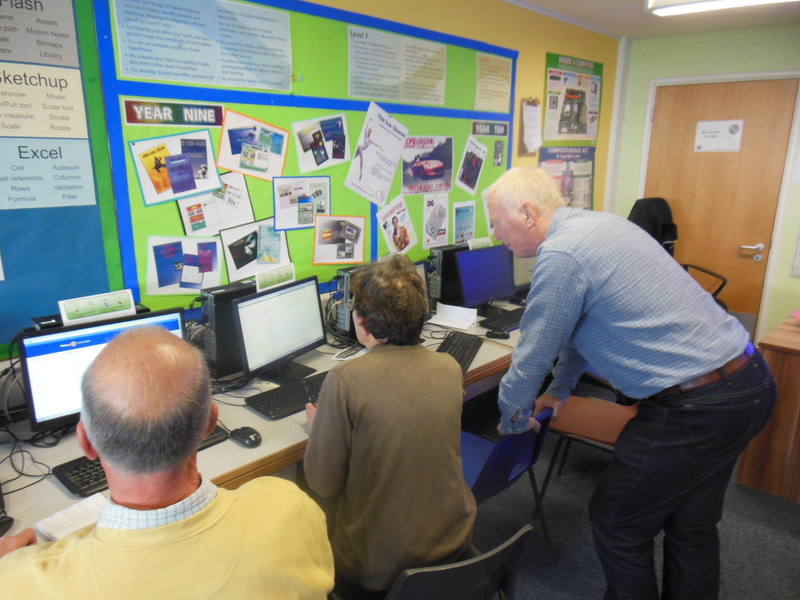 Richard Wickham of FoB club and others for a great organising job.